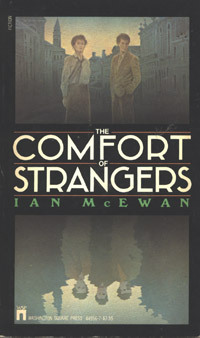 I'm registering this one for the "BookCrossing Convention Race to a Million" Challenge, book #125. Going to Silvertje on todays BCmeeting! I got this one from a fellow bookcrosser at the BC-meeting in the Booklet at April 10. 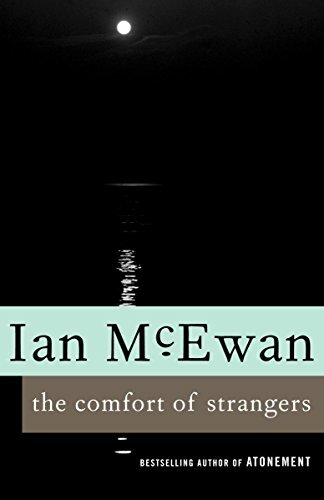 I just love Ian McEwan and this is a new one for me. It's on my to be read pile, waiting patiently! Wow! What a story. It left me behind with a weird, strange feeling. A very powerful story with a weird twist. A great read! I'm bringing it to Castricum tomorrow for the BC-meeting and I'm giving it to powerhouse. Wat heb ik veel mooie boeken gekregen vandaag! dit is er ook weer zo een waar ik me erg op verheug, met stip binnegekomen in de top 5! Dank je Silvertje (en Erbie). Heeft Powerhouse dit niet gelezen? ik was wel benieuwd wat ze ervan vond. Moet ik hem nou lezen of was hij bestemd voor MaaikeB? Gaat zij dan wel naar Tilburg? Wat een raadsels allemaal. Inderdaad, een mysterieus boek. Misschien krijg ik hem net uit in de trein op weg daarheen. Oops, forgot to journal it. Read it, loved it. Byebye, book. What a horrible story. Not only because of the violent outcome, but also because Colin and Mary remained strangers to me. I couldn't for the life of me understand what they were doing and why, if they loved eachother and what for, and why on earth they kept going back to this threatening situation when everything yelled at them to keep away. I cannot relate to people who choose to expose themselves to danger. This one goes back to Powerhouse. It's back here, I'll be taking it to the Maastricht Euregio meetup, Dec. 11. Took this one with me from the meeting in Castricum (6-26-2005) for OBCZ-Lef.